Google today revealed its latest effort to address gender bias in Google Translate service. 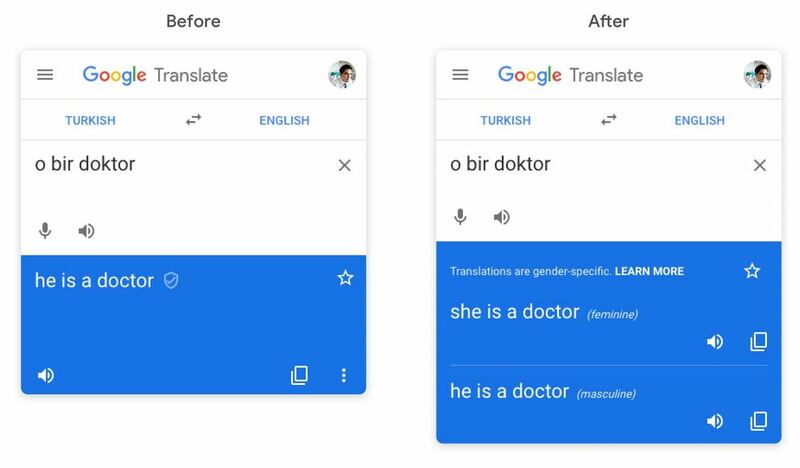 Since Google Translate is trained on millions of already-translated examples from the web, it would skew masculine for words like “strong” or “doctor,” and feminine for words, like “nurse” or “beautiful.” Google is fixing it by providing feminine and masculine translations for some gender-neutral words on the Google Translate website. Google will extend this gender-specific translations to more languages and also bring it to iOS and Android apps in the future.